​Embracing the “championship approach” – passion, hard work, accountability, toughness, and family– has been the calling card for Head Coach Larry Anderson, now in his 24th season guiding the Engineers of MIT. Anderson joined the MIT athletic department in 1995 as the 18th Head Men’s Basketball Coach in the program’s storied 116-year history. Established in 1900, nine years after the game of basketball was invented, the MIT basketball program continued to develop under Anderson, earning the New England Basketball Coaches Association award for Most Improved Team in 1998. On November 29, 2008, Anderson surpassed legendary Jack Barry as the winningest coach in the program’s history. His teams have averaged over 21 wins per season since 2009 and he achieved his 300th win on January 10th, 2015. Anderson’s regular season accomplishments have resulted in an impressive and unprecedented string of six NCAA tournament bids in the past seven seasons, highlighted by a Final Four 2012 run as a National Semi-Finalist. In addition, he is the only coach in the program’s history to lead MIT to a No. 1 national ranking. Coach Anderson and the Engineers have been a fixture on the national basketball scene, ranked in the Top 25 five of the past seven seasons. To top off an incredible list of accolades in a long and distinguished career, Anderson was inducted into The New England Basketball Hall of Fame in 2009. During his team’s historic 2011-12 campaign, Anderson received the Jack Bennett Man of the Year Award presented by CollegeInsider.com. The award represents winning with integrity and is presented annually to a Non-Division I Head Coach who achieves success on the basketball court while displaying great moral integrity off of the court as well. At the NABC Coaches Convention awards presentation, in typical Larry Anderson fashion, he “spread the love” by recognizing the many collaborators over the years that helped build the program one day at a time. Anderson arrived at MIT via Rust College in Holly Springs, Miss., where he graduated in 1987. After serving as captain his junior and senior years, Anderson remained at his alma mater as an Assistant Coach. 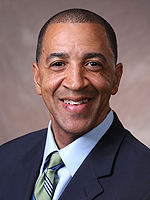 While maintaining his devotion to the game of hoops and to Rust, he eventually assumed additional roles as the Associate Director of Athletics and Director of Student Activities. Rob Di Bernardo is entering his eighth season as part of the MIT coaching staff. 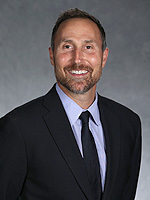 Prior to joining the Engineers, Rob developed his coaching and administrative skills as Assistant Dean of Students and Varsity Men’s Basketball coach at The Cambridge School of Weston. During his 11 year career at The Cambridge School Rob had many roles, his work as head coach (2004-2009) led to one of the school’s proudest athletic achievements. Over the years, the program compiled a record of 71-32 with an unprecedented five-straight NEPSAC tournament appearances, and winning its first-ever NEPSAC Class DII championship in his final year. In 2010, Rob was assistant coach to Rick Nault at Central Catholic High School in Lawrence, Massachusetts. The team captured the MIAA Division 1 state title in an incredible championship run culminating in a thrilling one-point victory in the state title game. The team finished the season with a 26-1 record and went undefeated in the Merrimack Valley Conference. Rob holds a B.A. in English Literature and a Masters degree in Physical Education and Coaching from Boston University. Rob will continue his education at Boston University, seeking licensure in Sports Psychology. Larry Farmer begins his second season as a member of the MIT men’s basketball coaching staff in 2018-19. 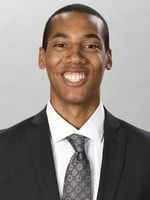 Prior to joining the Engineers, Farmer spent the past two years as a graduate assistant with the Boston College men’s basketball team. As a student-athlete at Denison University, Farmer was a three-year starter and captain. ​Farmer earned a Bachelor of Science degree in biochemistry from Denison in 2012 and received his MBA from Boston College’s Carroll Graduate School of Management in 2017. He currently works as an internal consultant for Blue Cross Blue Shield of Massachusetts. ​ David Kroopnick begins his second season as a member of the MIT men's basketball coaching staff in 2018-2019. Prior to joining the Engineers, Kroopnick coached for two seasons under head coach Lance Dottin at the Cambridge Rindge and Latin School. During those two seasons, the Falcons won back-to-back MIAA Division 1 State Championships, compiled a record of 48-1, and achieved national recognition in the 2016-2017 USA Today end-of-year rankings. Prior to working at Cambridge Rindge and Latin, Kroopnick coached youth basketball in the Boston area at the Yawkey Boys and Girls Club of Roxbury, and the All for One Basketball Club. Originally from Albany, N.Y., Kroopnick graduated from Northeastern University with a Bachelor of Science in finance and management. While at Northeastern, Kroopnick served as the sports and finance director of the campus radio station, WRBB. He currently works for a data analytics software company in Boston. John Sanchez begins his second season as an assistant coach and director of basketball operations with the MIT men's basketball program in 2018-19. For the past five years, Sanchez spent his time playing professionally in various leagues throughout Mexico. The Carson, Calif. native attended St. John Bosco High School, where he was a three-year letter winner and was offered a partial scholarship to play basketball at Mayville State University. He finished his collegiate career at nearby Lesley University, where he was a two-time All-Conference selection and graduated in 2012 with a degree in environmental science. ​He currently works as a physical education teacher at the Wang YMCA in downtown Boston. 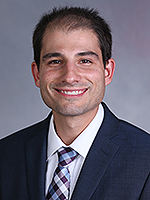 ​​Tyler Papadinis begins his third season as a member of the MIT men's basketball coaching staff and his second as the associate head coach in 2017-2018. Prior to joining the Engineers, Papadinis coached for seven seasons at the University of Massachusetts Boston. For the 2014-15 season he was promoted to Associate Head Men’s Basketball Coach and helped lead the Beacons to their best record in nine seasons. Prior to his arrival at UMass Boston, Papadinis worked for the NBA’s New York Knicks. 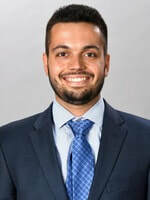 As a Basketball Operations Intern, Papadinis worked directly with players, coaches and staff members at the Knick’s training facility in Tarrytown, New York. 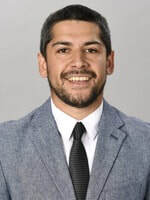 A 2007 Ithaca College graduate with a BS in sports management, Papadinis gained experience in collegiate athletics through Ithaca College and Cornell University’s athletic departments. He later received his MBA from UMass Boston in 2012. He currently works at Urban Science Academy in West Roxbury, Mass. and spends his summers working various basketball camps and clinics. ​Indran "Indy" Ratnathicam has served on the MIT coaching staff for the past 18 seasons. He focuses primarily on alumni relations and leadership development in addition to practice and game preparation, on-the-floor coaching, player development, and recruiting. Prior to becoming a coach, Indran was a four-year player on the MIT basketball team, where he was co-captain of the 1997-98 campaign that finished 18-7 under Head Coach Larry Anderson. Indy graduated from MIT in 1998, with a degree in Mechanical Engineering, and has an MBA from the Harvard Business School. Since "leaving" MIT, he has pursued a full-time career in technology and business, and is currently Vice President of Marketing & Strategy at FirstFuel Software, an energy software start-up in Lexington, MA. Prior to this, Indy's non-basketball has included roles at the global consultancy, The Boston Consulting Group, and other startup and venture capital firms. Indy is originally from Vancouver, WA.